← How many genes do cats have? Do wild cats shed as much as house cats? I have the best books on the wild cats and there is nothing in them on the speed at which the wild cat species shed fur, which is unsurprising because it is not something which is awfully important. However, that said, I will endeavour to answer the question in a (hopefully) common sense and logical manner. It is probable that all wild cat species shed fur at a similar rate and under similar circumstances because they are all the same fundamentally. They are certainly the same with respect to fundamental anatomy and physiology. If we turn the clocks back to around 10,000 years ago the first domestic cat was a Near Eastern wildcat living in an area now known as Syria. That’s what we currently believe. This wildcat’s anatomy and behavioural characteristics are still firmly part of the 500m domestic cats on the planet and vice versa. So if the domestic cat sheds fur seasonally as I describe on the linked page we can say with a fair degree of confidence that the Near Eastern wildcat did and still does the same thing (or is very similar). 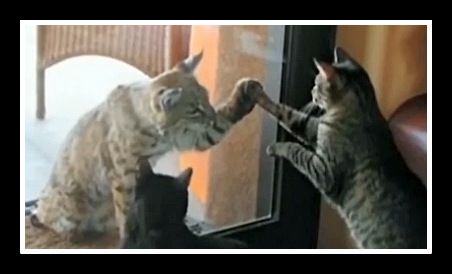 The point being made is the link between the wild cats and domestic cats is still very strong. Ten thousand years of evolution of the domestic cat has not weakened the link very much. The domestic cat remains therefore similar to the wild cat and as a consequence, the answer to the question in the title is, therefore, yes. Feline shedding is based upon light not temperature. The more exposure to natural light the greater the amount of shedding. There will, therefore, be some variation in shedding between the wild cat species, I’d have thought, dependent upon the geographical location of their habitat. Bengal tigers living in the lower areas of the Himalayas may shed less than Bengal tigers in mainstream India or in Bangladesh. Snow leopards wandering the frozen high plains of Pakistan or Mongolia shed less than common leopards living in a park adjacent to Mumbai, India but they have the same physiology and the same inherited predisposition to shed whenever their anatomy triggers the process. Home→Cat Anatomy→genetics→Do wild cats shed as much as house cats? This entry was posted in genetics and tagged cat anatomy, cat domestication, cat genetics, cat history, cat shedding, genetics by Michael Broad. Bookmark the permalink.